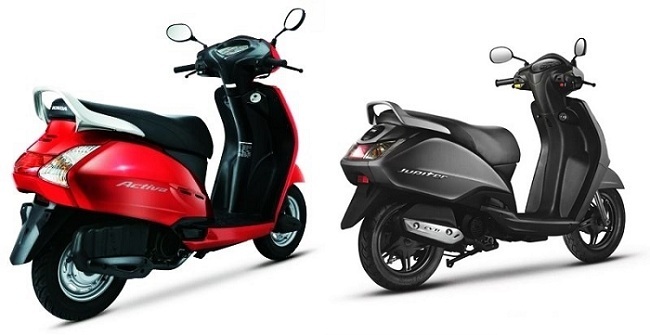 Will you agree if I say Activa 4G is Best Scooty in India? And If you decided to buy Honda Activa 4G, Your [Decision is 100% Correct]. Well, if you are here to check Activa 4G detail, I have covered Activa 4G in 10 points. Honda Motorcycle & Scooter India has recently launched Honda Activa 4G scooter 2018 with the new BSIV Engine and Automatic Headlamp On (AHO) compliance. Honda Activa 4G 2018 is powered with 109 CC Honda Eco Technology (HET) Engine. With the major 4th Generation Upgrade, Honda Activa gets the all-new format cover design with new colour shades schemes like Matte Axis Grey Metallic and Matt Selene Silver Metallic. 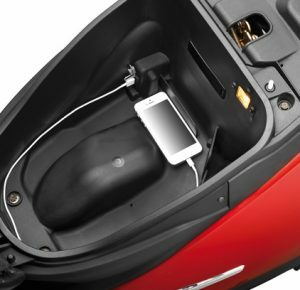 2018 Honda Activa 4G comes with the retractable front hook and mobile charging socket. Honda Activa 4G is priced at Rs 50,730 (ex-showroom, Delhi). Activa 4G is the second launch of HMSI’s in India this year after New Generation Honda Activa 125 introduced last month. Honda Activa 4G is about to make a mark in 2018 with offering a stylish look and higher performance with a better mileage. With the new launch of Honda Activa 4G, Mr. Yadvinder Singh Guleria, Senior Vice President – Sales and Marketing, Honda Motorcycle and Scooter India Pvt. 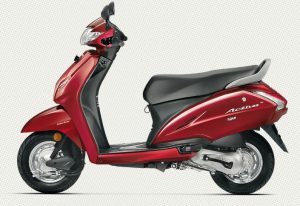 Ltd., states that Honda being trust of more than 1.5 crore Indian families has launched iconic Activa first automatic scooter for becoming the “World’s Number 1 selling two-wheeler in 2016”. Honda Activa 4G is 4th Gen BS-IV complaint upgrade and it is considered as the most family loved Scooter. Honda Activa 4G is quite ready to easily delight the customers with the added convenience of stylish new colours and Mobile Charging Socket. Here is GST Price of Honda Activa 4g in Major Cities. 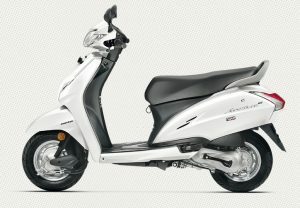 Activa 4g is best selling scooter in India and Honda sell cross 1.5 million Activa. if you thinking to buy one, you can book Activa 4g with the minimum amount of 1000. you can book by authorized Honda dealer near you or can book online as well. 2018 Honda Activa 4G is powered by the 109 CC Honda Eco Technology (HET) engine with the powerful BS-IV compliant. Activa 4G motor is capable of churning 8 bhp at 7500 rpm. The engine develops the peak torque of 9 Nm at 5500 rpm and it is mated to the automatic CVT gearbox. The basic design of Activa 4G remains quite similar to the previous model but it now comes with a better style along with the added new features. Front apron design of the fourth generation model also been revised so that it brings the sharper character with lines. 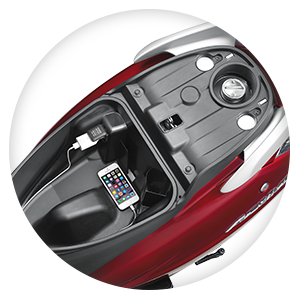 Honda Activa 4G also comes with the stylish and safe mobile charging socket. Honda Activa 4G will have more extensive features such as tubeless tyres and large under seat storage space so that it would automatically enhance the best comfortable riding position. The scooter is suitable for a long ride with comfortable seating. Make the easiest and stylish ride with the new version of Honda Activa. Honda Activa 4G equipped with Combi Brake System (CBS) along the Equalizer technology so it is quite convenient or enjoying the safe and secure ride in an absolute way. 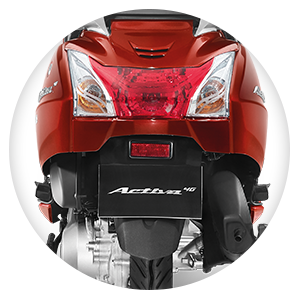 With introducing the high-end technology BS-IV compliant engine, new Activa 4G brings more power for a smooth ride without any hassle. Honda Activa 4G sources its power from 109 CC air-cooled four-stroke engine with the Honda Eco Technology (HET). 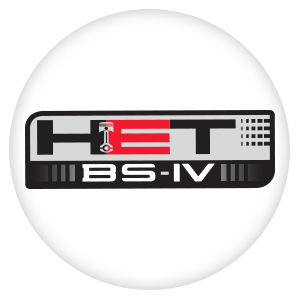 The motor is supported with the CVT gearbox that automatically pushes out the maximum power of 8bhp at 7,500rpm and 8.83Nm of torque at 5,500rpm. Design and Styling of Activa 4G are quite similar to the previous model. Although Activa 4G has larger specification with the enhanced new dynamic front centre cover design that offers more refreshing appeal in the most extensive style. 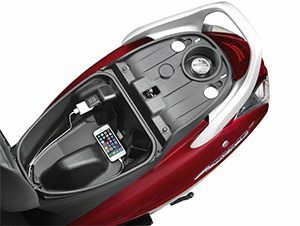 Honda introduced two new specifications on this scooter such as retractable front hook and mobile charging socket so it would enhance the convenience level to the maximum. 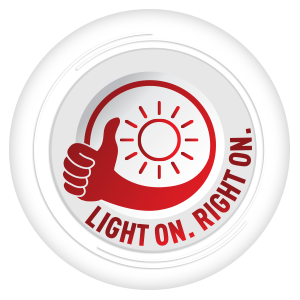 The major cosmetic update comes in Automatic Headlamp On (AHO) feature so it improves the best visibility of the vehicle in all the extended conditions. Advanced Combi Brake System (CBS) of Honda is quite amazing with astounding safe braking duties. CBS technology not only offers a safe and confident ride but also improves balance on the ride. Talking about Activa 4g Wheels & Brake, Activa 4g does not have Disk brake on front & back side, instead, it has drum brake which similarly to other scooters. 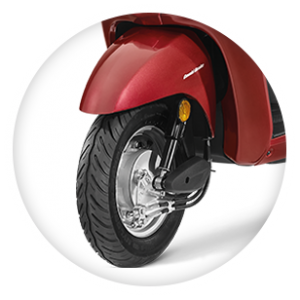 The tyre size of new Activa 4g is 10 Inch you can fit tubeless or with tube tyre as per your choice. Honda wants to cater to subtle buyers with the highly advanced vehicles. 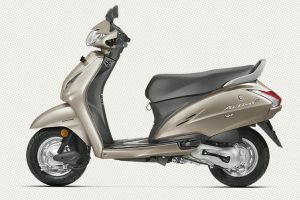 They have retained many numbers of colours in the upcoming Activa 4G such as Matte Selene Silver Metallic and Matte Axis Grey Metallic that extended the look of the vehicle when compared to the Honda Activa 3G. Both the Honda Activa 3G and Activa 4G comes with the 109cc engine produces about 8bhp @ 7500 rpm. Honda Activa 4G has a good instant power with the high-end BS-IV Compliant Engine when compared to Activa 3G. 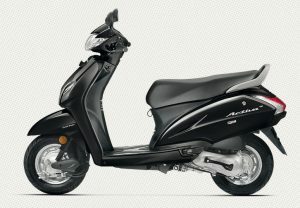 The fuel efficiency is also good and the upgraded version Activa 4G becomes the favourite scooters in 110cc. No doubt it would be a best seller too in 2017. Honda Activa 3G has set the mark for its speed, transmission, mileage and stylish design. However, the upgraded version comes with a lot of features that brings more comfortable ride. The Activa 4G will be available in trendy colours like Matte Selene Silver Metallic and Matte Axis Grey Metallic along with colour schemes such as Pearl Amazing White, Lusty Red Metallic, Trance Blue Metallic, Geny Grey Metallic as well as Black. While the Activa 4G has the stunning retractable front hook and advanced Mobile Charging Socket but the Activa 3G lacks these features. Estimated Mileage of new Activa 4G will be 60kmpl and it remains same as the old model as they have the same Engine. There won’t be any major changes in the mileage of new Honda Activa 4G. 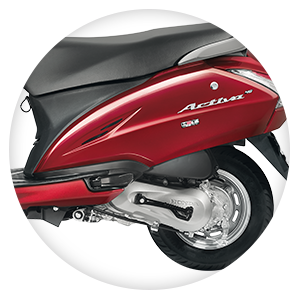 In fact, the Activa 4G offers the mileage of 45-50 km/l in the city. Mileage differs about how you ride. Honda Activa 4G has 110CC Air-Cooled Single Cylinder Engine and there won’t be a major change in engine power. BS-IV compliant in Activa 4G should churn 8bhp of power and 8.83Nm of torque. The response of engine would not be changing and the engine of Activa 4G comes with the CVT box. Power and response of the engine of this vehicle become the most important aspect of the sales and they maintain the same features. Honda Activa has introduced one more colour last month. 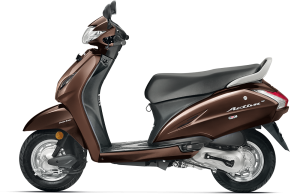 Now you can buy Honda Activa 4g in all new matte grey. The new colours define the Activa ttagline”a new gen scooter”. Ground Clearance is the amount of space between automobile tire base and lowest point. 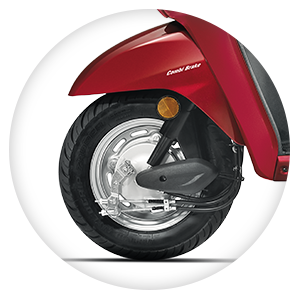 Riding Honda Activa 4G is quite stylish with fantastic Ground Clearance of 153 mm. 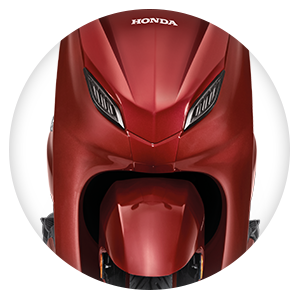 Honda has introduced this upgraded version with higher ground clearance so it is much smoother to ride in the absolute style. 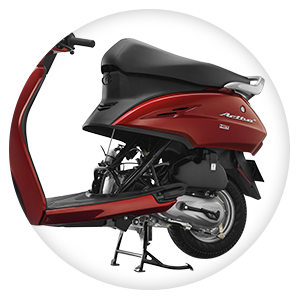 It is much comfortable to ride Honda Activa 4G with comfortable ground clearance in the amazing way. The shortest distance between level surfaces, flat and lowest part of a vehicle with the parts designed to contact. 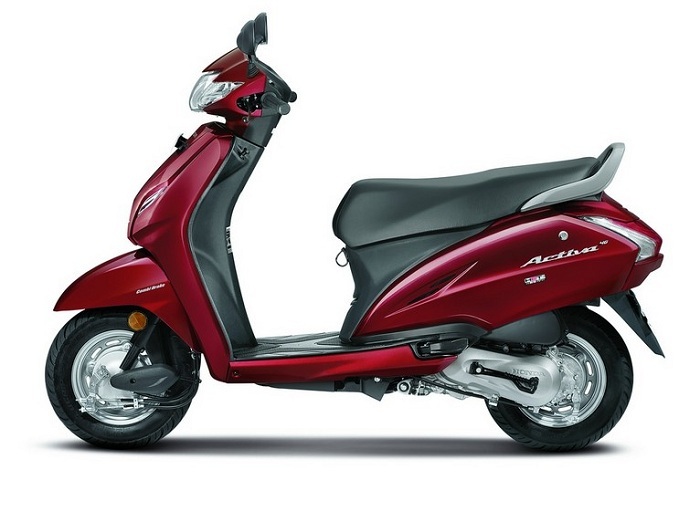 Overall Length of the Honda Activa 4G will be 1761 mm and the Overall Width is 710 mm. Overall Height of the vehicle will be 1149 mm. 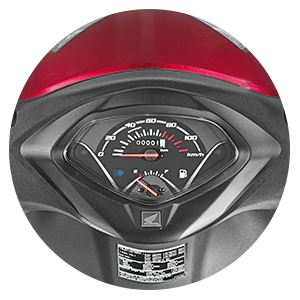 Honda Activa 4G carries the fuel tank capacity of 5.3 litres and it is quite easier for the city purposes. 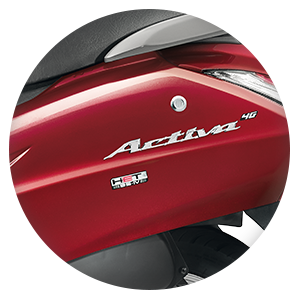 All new incarnated Activa 4G comes fitted with air cooled 4 stroke 109cc engine with the power of 8 [email protected] rpm and torque of 8.74 Nm. Honda Activa 4G comes with the V-Matic gearbox. Honda claimed the top speed for Activa 4G is 82 KMPH. Once you have bought Activa 4g, it will be important to know about standard warranty period of your Activa 4g. Honda company offers standard warranty up to 24 months or 24000Km. Once you meet any of these conditions, you need to buy an extended warranty which is as below. Activa 4g Extended Warranty comes with 12 months, 24 months & 36 months following 12000 kilometres to 36000 kilometres. Honda Grazia is all set to launch in November 2017. 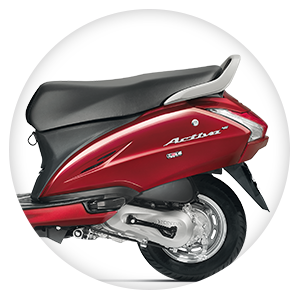 Grazia will have 125 cc engine derived from Activa 125 with modern design. honda says the Grazia is for urban customer. Though there are not much, yes you can save 7500 on new Activa 4G in Diwali offer. You can buy Activa 4g this Diwali with absolute low down payment & 0 processing fees. Also, Govt & PSU employee can get 2000 As a cash back with this festive offer from Honda. Some of the Honda dealers may give you exchange offer on Activa 4g as well. Diwali is the best time to offers discounts by companies in India as many Indians make a purchase of a vehicle in this time. 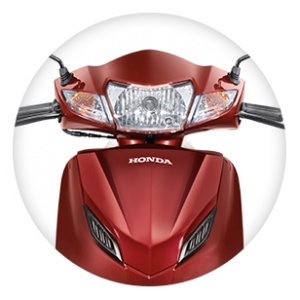 Honda also giving Diwali offer on Activa and other 2 wheeler. There is GST Price offer running now, as soon as we will get info about Honda Activa Diwali offers, we will update full detail here. The new Model of Activa 4g has best in style with an attractive look. The new Model of Activa 4g is better than Activa 3g in terms of power and performance. Booring features added ,still no new features like maestro edge..
same here bro maestro is best in scooty segment.. I bought it , its much better than 3g. Better pickup and smoother. Its good and the seat is much more comfortable than it’s previous versions. Mileage not even 35 kmpL…& Dont evn start quickly early in d morning…need to kick it for 10-15 times.. I love USB Charger Point in travelling. But Activa 3G don’t have any feature like that. That’s Great News about Activa 4G Launching For Me. Mileage not even 35 kmpL…& Don’t even start quickly early in d morning…need to kick it for 10-15 times. I love my active 4g.but these bike’s fuel tank opened in the sit not outer side like a mastero. I am interesting to buy new honda activa 4g, let us know price at New panvel. navratri festival comeing soon in my home new activa……. Diwali offers if any please tell me . Good….but starting problem in both self start and kick start during morning time…….rest of all is good. It’s suspension is very poor. Mileage is very poor. It is giving only 37 KM /L.